Hello readers, today I am back with another new offer on recharge. Recharge of Rs 30 or more and get Rs 30 cashback. This offer is from talkcharge and valid till 30 april 2017. 1. 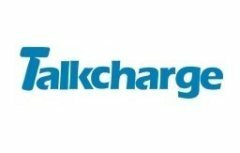 Visit TALKCHARGE from HERE. 3. Initiate a Recharge of Rs 30 or more and apply promo code NAYA30. 4. Now pay via CC or DC and after successful transcation your cashback will be credited within 24 hrs. 2. Valid on min transaction of Rs.30. Cashback is fixed at Rs 30. 3. Cashback will be credited within 24 hours after the successful transaction. 4. Not valid on transactions done via TalkCharge Balance and Wallet. 5. Valid till 30 April 2017.